Nominated for a Golden Globe for Best Foreign Film and starring Christian Bale and introducing Ni Ni, is a powerful and epic tale of love and war, where a band of outcasts emerge as unlikely heroes from the shadows of a city's occupation. 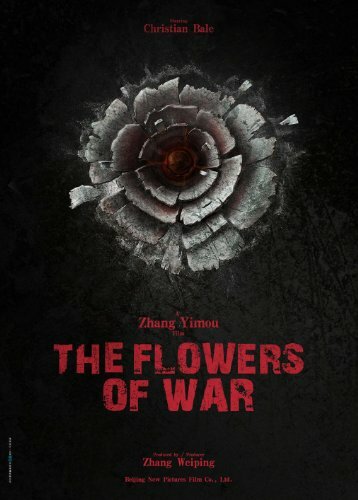 Lionsgate is proud to present The Flowers of War , available for the first time on Blu-ray Disc, DVD, Digital Download and On Demand on July 10th 2012. Celebrate an inspiring story of wartime heroism as Lionsgate releases The Flowers of War on Blu-ray Disc, DVD, Digital Download and On Demand. Directed by acclaimed filmmaker Yimou Zhang (Hero, House of Flying Daggers) and based on the novel by Japanese author Yan Geling, the film was nominated for a Golden Globe(R) for Best Foreign Film. The Flowers of War , starring Academy Award(R) winner Christian Bale* and introducing Ni Ni, is a powerful and epic tale of love and war, where a band of outcasts emerge as unlikely heroes from the shadows of a city's occupation. The Flowers of War Blu-ray Disc and DVD, includes a five-part feature length "making of" documentary. In 1937, Nanking stands at the forefront of a war between China and Japan. As the invading Japanese Imperial Army overruns China's capital city, desperate civilians seek refuge behind the nominally protective walls of a western cathedral. Here, John Miller (Bale), an American trapped amidst the chaos of battle and the ensuing occupation takes shelter, joined by a group of innocent schoolgirls and thirteen courtesans, equally determined to escape the horrors taking place outside the church walls. Struggling to survive the violence and persecution wrought by the Japanese army, it is an act of heroism, which eventually leads the seemingly disparate group to fight back, risking their lives for the sake of everyone.